Semi-trucks are among the largest and heaviest vehicles on the road. A fully loaded tractor-trailer can weigh as much as 80,000 lbs. and measure over 65 feet long. This is 20-30 times the weight of the average passenger vehicle. When a semi-truck is traveling at highway speeds, even a small driving error can have disastrous results. 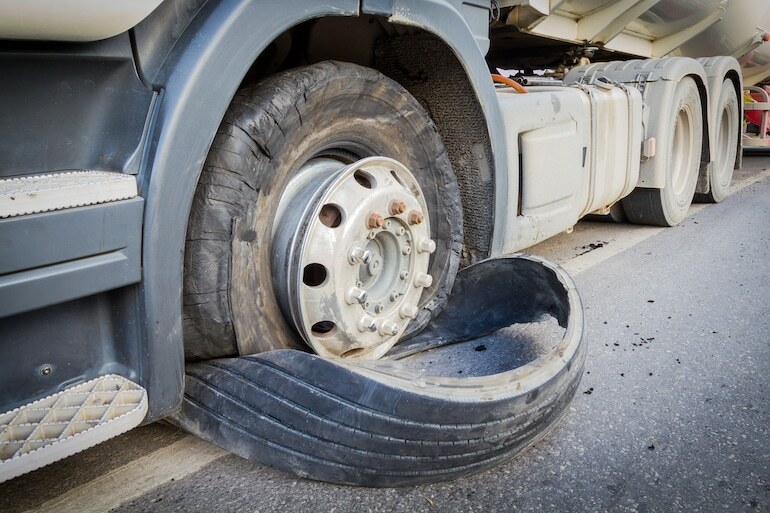 This is why you need qualified semi-truck accident lawyers if you are injured in a truck-related crash. A semi-truck refers to the actual truck, which contains the engine. A semi-truck is used to haul a semi-trailer, which contains the cargo being transported. When the two are attached, the semi-truck supports much of the trailer’s weight. Tractor-trailer and 18-wheeler are other names for the combination of a semi-truck and semi-trailer. A total of 4,102 people died in large truck crashes in 2017 across the U.S. Of these, 17% were truck occupants and 68% were occupants of passenger vehicles. From this same statistic 14% were pedestrians, bicyclists or motorcyclists. Over the last 10 years, accidents involving semi-trucks have increased more than 30%, including fatal crashes. Notably, 97% of those killed in two-vehicle semi-truck accidents were riding in passenger cars. The most careful driver can be the victim of faulty equipment. Because large trucks are harder to maneuver and avoid, even a malfunctioning turn signal can cause an accident. Defective brakes can be catastrophic. When this happens, one or more individuals or companies may be liable. Responsibility could fall to the manufacturer, the installer, a mechanic or the trucking company. This is why hiring experienced semi-truck accident lawyers is so important. Operating a commercial truck requires specialized licensing and training. This should include training drivers to handle hazardous road conditions and other emergencies. Because other motorists are unpredictable, training should also include how to drive defensively. Many semi-trucks have large blind spots in the rear, on both sides and even in front of the cab. The rear blind spot can be as deep as 200 feet. On the sides, it can extend past the end of the trailer. In front, it may exceed 20 feet. Our semi-truck accident lawyers have seen the outcomes of these accidents and are prepared to fight for you and your family.